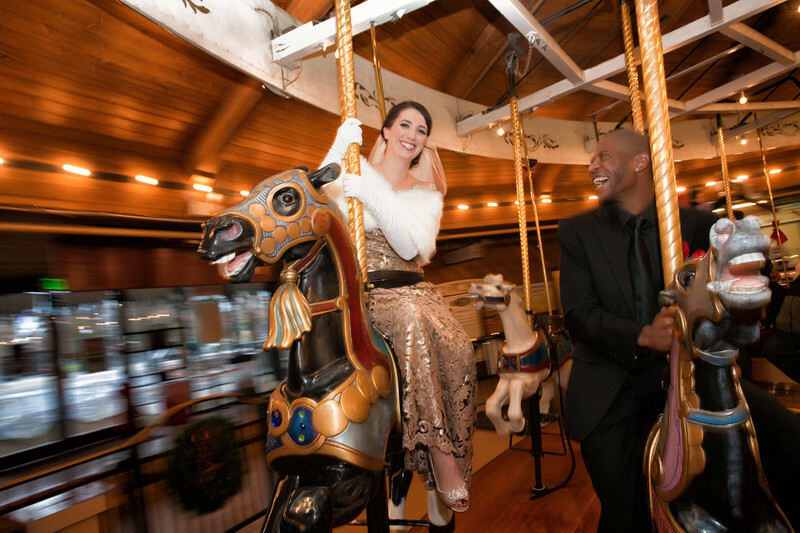 Super fun bride and groom on the carousel in Spokane, Washington. Their reception was at the Davenport Hotel. Christmas was a great day to photograph a wedding. Keywords: Wedding Images Riverfront Park (3).